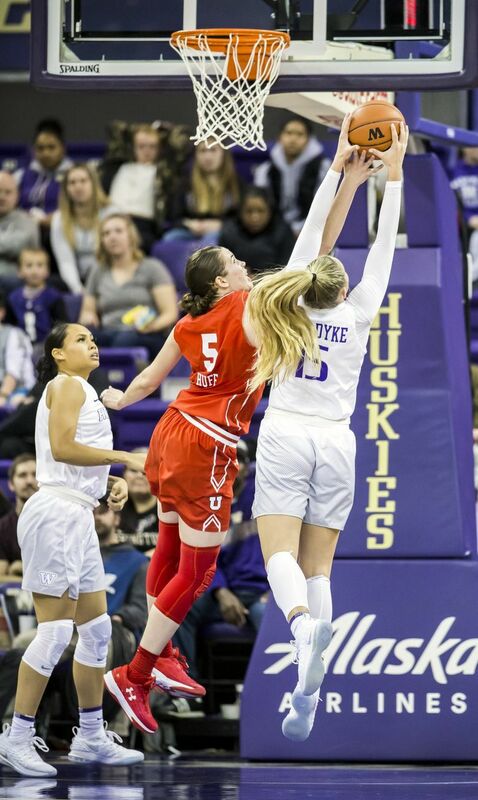 The Utes made layup after layup and the cold-shooting Huskies could not keep up in a 58-43 loss. At times, it resembled a layup drill. 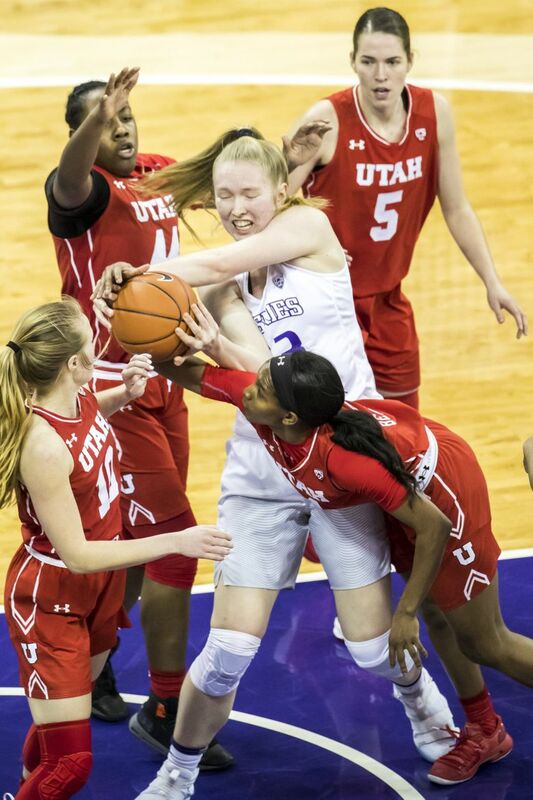 Utah’s plan against the Washington women’s basketball team was clear early: Get the ball inside. 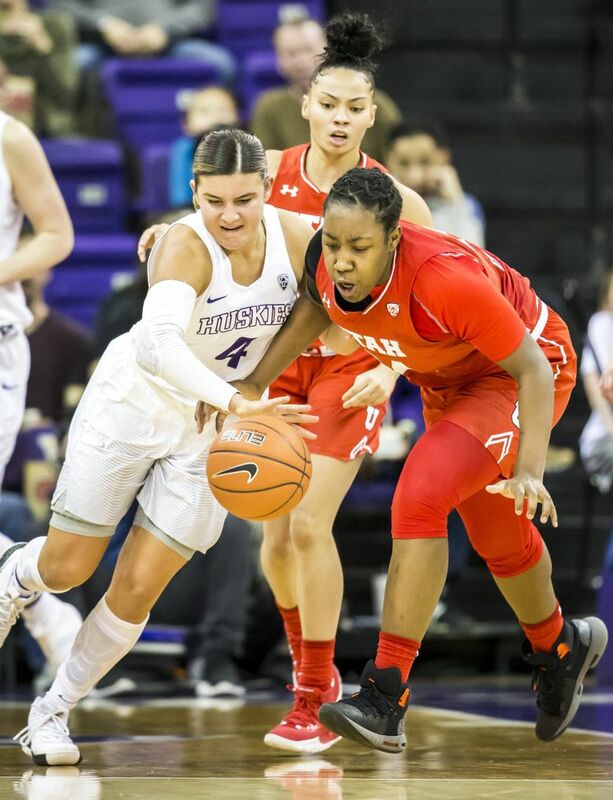 Whether it be out of their set offense or in transition, the Utes made layup after layup, and the cold-shooting Huskies (8-9, 1-4 Pac-12) could not keep up in a 58-43 loss Sunday afternoon at Alaska Airlines Arena. It was no wonder that Utah (15-1, 4-1) made 25 of 34 two-point shots with the degree of difficult being so low. 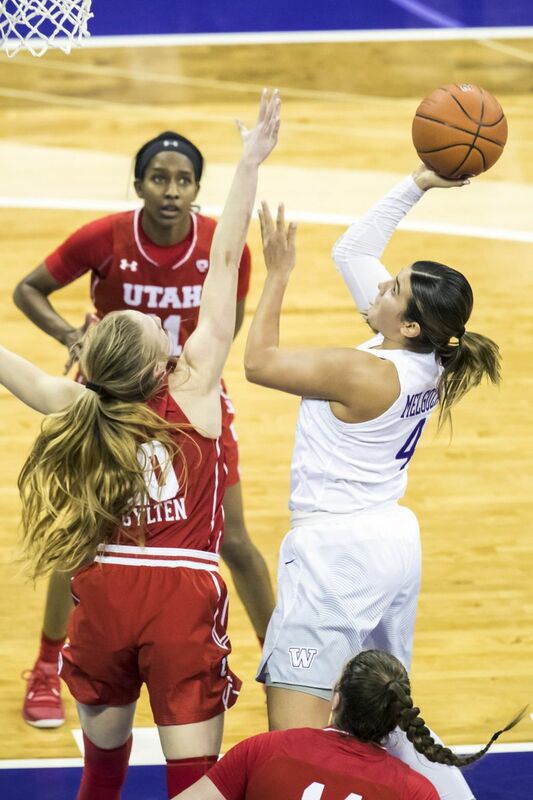 And all those layups, many coming after UW turnovers, saved the Utes on a day in which they were 1 0f 17 from three-point range. 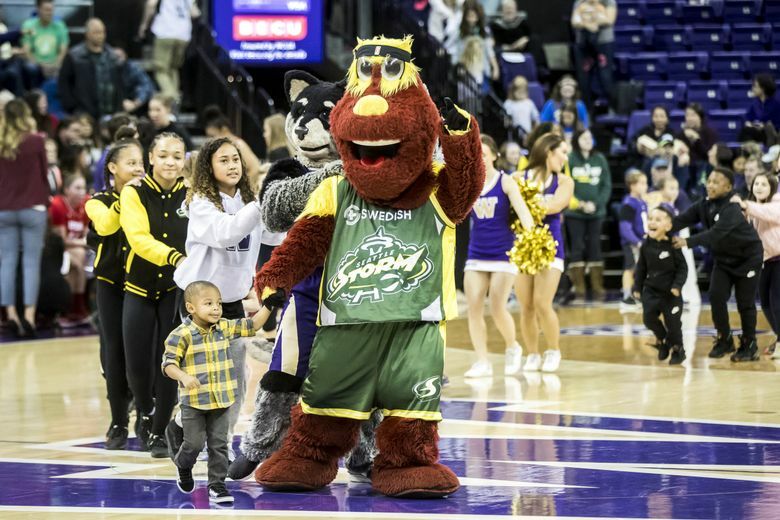 The Huskies did a better job of guarding the lane in the fourth quarter, but by then it was too late. 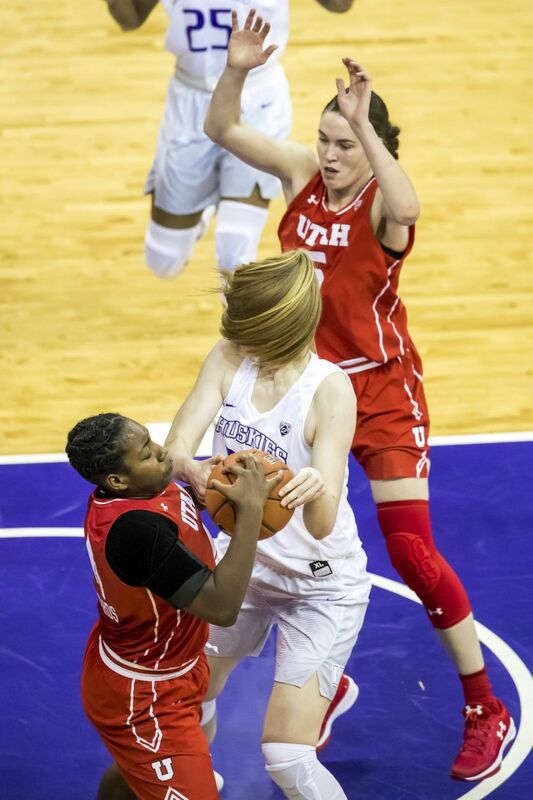 Utah senior Megan Huff, who played at Todd Beamer High School in Federal Way, had 25 points and 12 rebounds to lead Utah. She made 12 of 19 shots, with almost all of her points coming on layups. 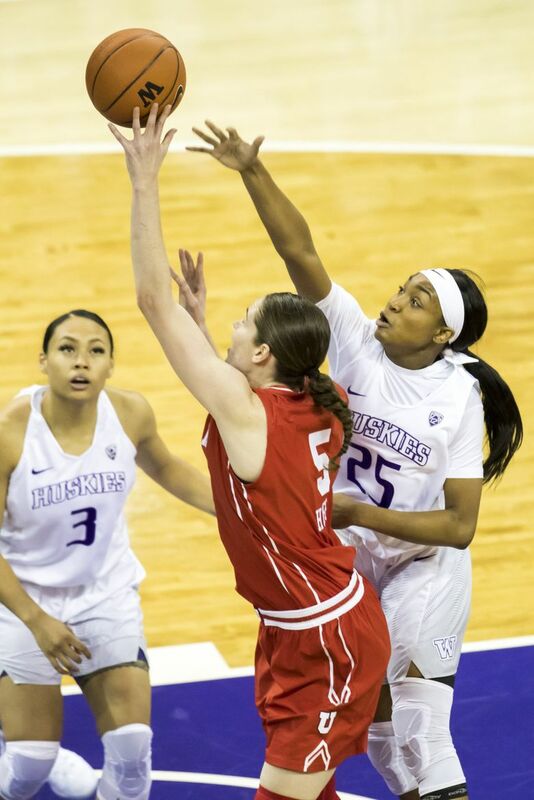 Dre’Una Edwards also hurt UW inside, scoring 14 points on 7-of-9 shooting. 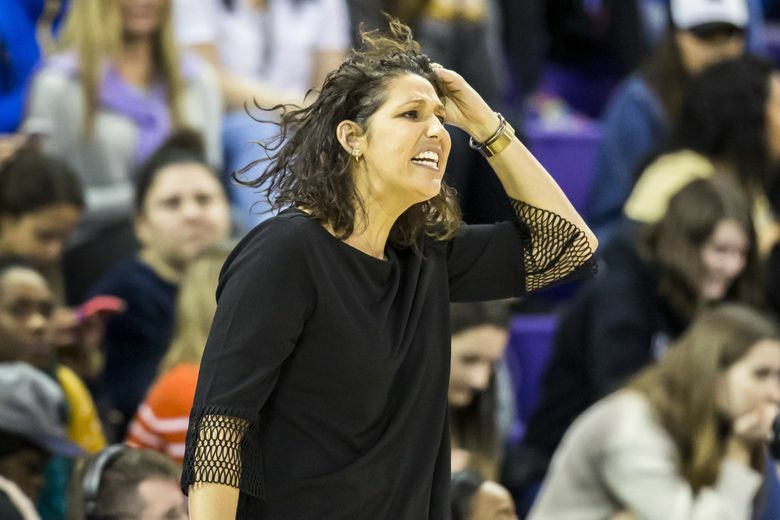 “When all Huff has to do is make a layup, and all Edwards has to do is make a layup — they are already great players. 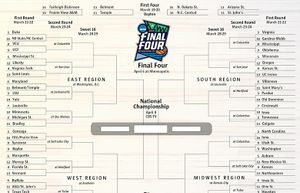 It’s easy basketball,” Wynn said. The barrage of layups started early as the Utes made one after another to take a 15-4 lead in the first quarter. 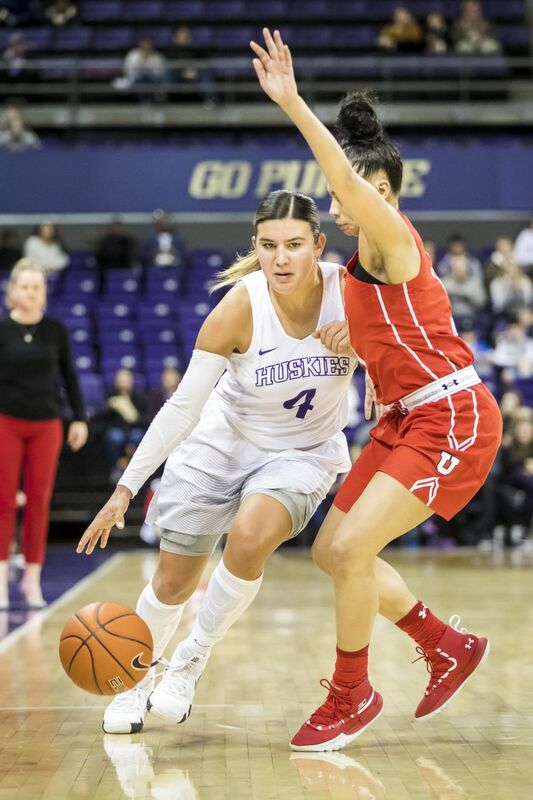 UW’s defense tightened for a while, and it fought back with an 8-0 run before trailing 19-12 at the end of the period. 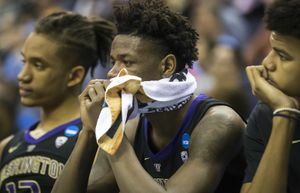 Washington played great in a couple of brief stretches early in the second quarter and was seemingly ready to take the lead a couple of times. But Utah repelled those threats, and its 15-point lead at halftime (39-24) was its largest of the half. It didn’t help that UW struggled shooting from the outside, making 3 of 16 three-point attempts. 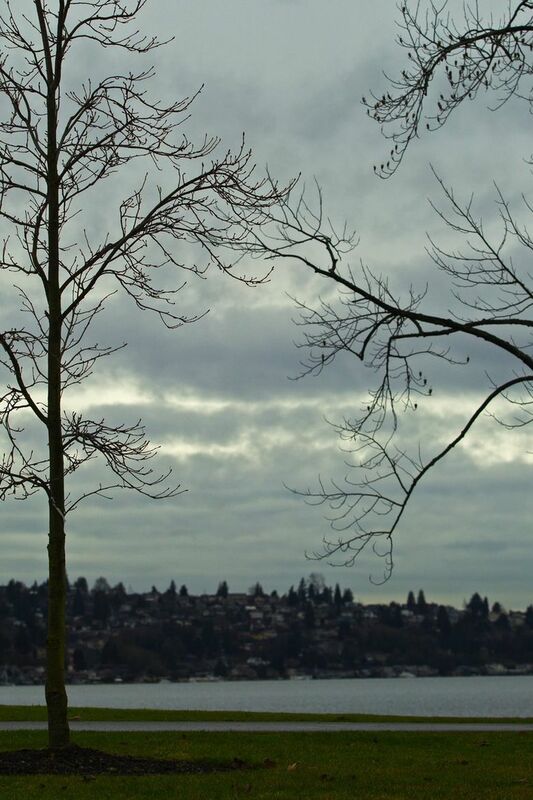 The Huskies shot 34 percent overall (20 of 59). But it was the Husky defense that concerned Wynn. It was a much nicer afternoon for Utah coach Lynne Roberts, who played at Seattle Pacific and spent time as an assistant coach there. She left passes for 42 people and was happy her team executed the game plan to get the ball inside. Mission accomplished, much to Washington’s dismay.